This beautiful emerald bracelet has 9 oval shape emeralds in 2.07 Ct. total weight set in half bezels. 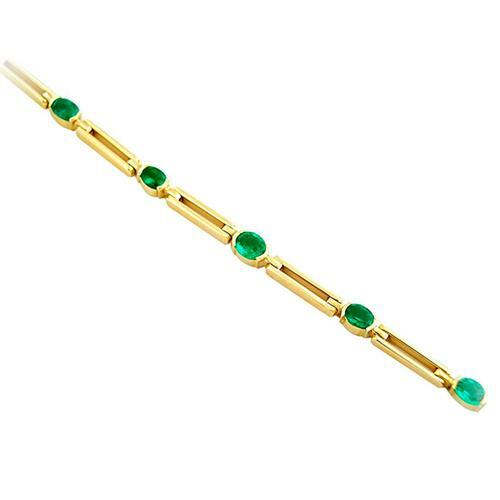 The jewelers set the biggest stone in the center of the bracelet and from there they went to the smallest ones toward the clasps. 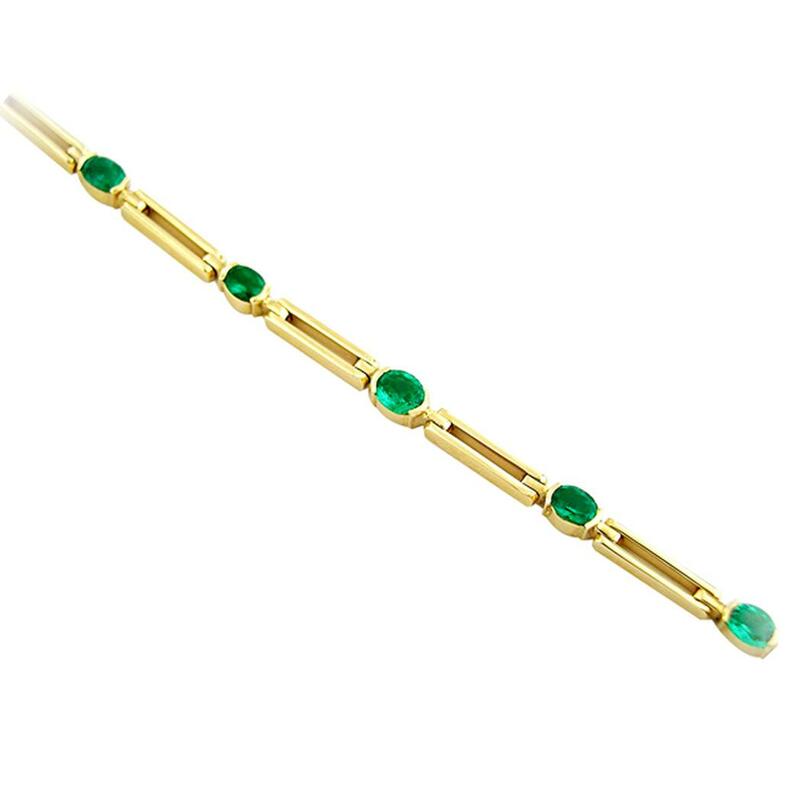 The bracelet design has long strong links, between each emerald, with a fine canal giving a light and clean look to the whole piece.